“QS (Quacquarelli Symonds) Top Universities Under 50" rankings were revealed. The system uses the same methodology as the QS World University Rankings to determine the top universities under 50 years of age. 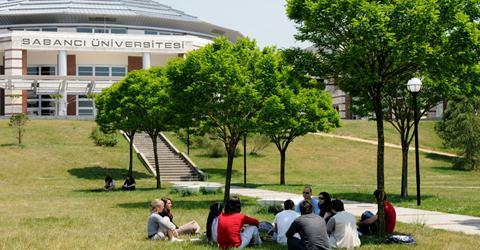 Sabancı University entered the list for the span4 time this year and ranked between 61st and 70th. Sabancı University President Professor Nihat Berker said: "We are delighted with Turkish universities advancing in world rankings. These well-deserved advances motivate our entire university community to work in greater dedication. Therefore, I am confident that we will see better and better results in the years to come." There are no Turkish universities in the Top 50; however, Bilkent University ranked between 51st and 60th, and Koç University between 71st and 80th. Three Turkish universities were on the rankings this year.